Potassium is a mineral that is crucial for a proper body functioning. This is true for both dogs and humans, but what can you do in order to ensure your dog's potassium levels are in optimal balance? How do you know if your dog has his potassium levels out of balance? Read this article and learn everything you need to know about this topic. Potassium is one of the most important minerals a living organism needs for proper functioning. This mineral is actually called an electrolyte because of it’s high reactivity with water. This means that when this mineral gets dissolved in water, it produces positively charged ions that allow it to conduct electricity. Potassium has a big role in regulating fluid, muscle contractions and in sending nerve signals. So, we can easily see Why potassium is important for dogs? – for the same reason it is very important for humans and any other living creature too. But, how can you make sure your dog has an ideal level of potassium in his blood? How to avoid your dog being depleted of potassium, or having too high potassium levels in his blood? Let’s learn more about potassium first and then see what you can do in order to make sure your pup gets the adequate amount of nutrients he needs. More than 90% of total body potassium store is found in the body’s cells. (1) This means that in order to play his role in the body, potassium has to be in great balance. Otherwise, when potassium levels are struck and not in the perfect balance, the way cells work is highly affected which could lead to development of chronical health conditions. But what are the ways of influencing the balance of potassium in your dog’s body? The safest way you can ensure a good dietary potassium intake for your dog is by choosing foods that are rich in this mineral. Potassium is best absorbed in the small intestines, but, often it can get dissolved much before it finally gets to the intestines. This means that preserving Potassium in food is very unlikely if the food is overcooked or served incorrectly. So, in order for your dog to grow healthily, it is necessary that his potassium levels are perfectly balanced out and his potassium daily intake guaranteed. What Are The Safest Sources Of Potassium For Dogs? First of all, all kibble dog food should already have a steady amount of potassium. So, the first and foremost source of potassium your dog should be having is his own dog food. But sometimes, it can occur that dogs need a little extra boost of this mineral in order to use up all of its benefits. In that case, you might want to opt for supplements or foods that are rich in potassium. This step will be absolutely crucial for all dog owners that are feeding their pups a raw diet. Incorporating these foods in your dog’s diet will inevitably increase his potassium levels and make sure all the functions that are potassium-dependent are properly working. Let’s see what are the main functions potassium has in your dog’s health. If you’re wondering how to improve your dog’s overall health, then you should know what each mineral or vitamin does in your dog’s body. There’s no need to insist on implementing all possible supplements in your pups diet in order to ensure he is healthy and vital. So before explaining what benefits your dog could accrue by increasing his potassium intake, let’s explain better what is the role of potassium. Water accounts for more than 60 percent of your dog’s body. (1) So, it’s no wonder why hydration is the base of each living creature’s health. But what does potassium have to do with it? Potassium, along with sodium helps our body regulate the water balance and the acid-base balance in the blood. Potassium is the main electrolyte of a cell substance called intracellular fluid. 40 percent of all water in your and your dog’s body is found in this fluid. The rest of the water is found in extracellular fluid, which is located as outside of the cells. The amount of water found in the ICF or ECF is, among other factors, affected by the concentration of electrolytes, including potassium and sodium. A healthy body will have an equal balance of electrolytes in the ICF and ECF. Basically, potassium makes sure your and your dog’s body doesn’t dehydrate. Another crucial role of potassium is to help deliver messages your brain sends to your body. These messages are actually nerve impulses that dictate most body functions including muscle contractions and heartbeats. This is why this mineral is essential for maintaining your dog’s healthy nervous system. As we have already mentioned, a proper nerve function is necessary in order to have regulated muscle contractions. When potassium levels in blood is balances, the movement of ions in the cells is good which ensures a regular heartbeat as well as normal muscle contractions. On the other hand, high levels of potassium can weaken heart’s function and result in a irregular heartbeat. (4) Similarly, low levels of this mineral will also affect how the heart contracts. What Are The Health Benefits of Potassium For Dogs? Now that we have established clearly what is potassium’s role in the body, we can continue to talk about it’s benefits. Of course, too much of anything can also be bad for your dog’s organism, so you should only increase potassium intake if your dog is already low in potassium. Potassium helps muscles contract and relax which affects your dog’s overall muscle strength and growth. When the potassium levels are well-balanced, your dog will have good motor skills. This mineral ensures a healthy growth of your pup. In case your dog exercises a lot, an increased intake of potassium can be a clever way to boost his strength. This crucial mineral can also aid your dog’s digestion. Potassium helps nutrients absorb faster thanks to its electrolyte characteristic. The mineral is important in the digestive process of breaking down fats and carbohydrates. Since potassium helps your dog’s body to generate nerve impulses, it will also directly influence your pup’s cognitive function. Your dog might be learn and memorize more easily when his body gets enough potassium. When in balance, this important mineral will maintain Fido’s sharpness in peak. As if it wasn’t enough, it was found that dogs that had their potassium levels in optimal levels had a higher bone density. This is due to potassium’s role of regulating acid levels, which also affects internal PH value. It was also found that dogs that have their acid levels in optimal balance, retain more calcium in their bones and blood with time. How Do I Know If My Dog Has Low Potassium? Potassium deficiency in canines is usually caused by an excessive loss of potassium. A low intake of the mineral rarely causes the potassium levels to drop. (7,8) These states of the body can happen when a dog is affected by certain health conditions that make retaining enough potassium in the body really difficult. If your dog has some of the following symptoms, then you might have to bring your dog to the vet in order to do blood testings. The results will show if your pups potassium levels are in balance or not. A condition of having low levels of potassium in the body is called hypokalemia. The causes behind hypokalemia are various. Usually it doesn’t occur in healthy dogs. Dogs that already suffer from certain chronic health conditions such as diabetes are more prone to having hypokalemia at some point too. How Do I Know If My Dog Has High Potassium? The same as having a potassium deficiency, dogs can have a too high concentration of potassium in their blood. The symptoms of having excessive levels of this mineral are quite different from the ones that potassium deficiency is causes. 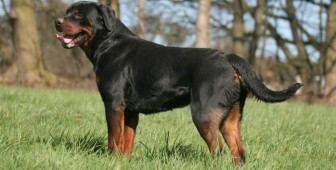 However, what’s similar is that this condition is also rarely shown in dogs that have a good overall health.